Happo is a web-based platform that simplifies and streamlines your entire recruitment process. You can access your jobs and candidates, and collaborate with your suppliers, clients and colleagues all in one place. A candidate your colleague forwarded to you. Why sort through your inbox in a mass of hundreds of emails trying to find the right candidate when you can see them all in one place? To see your recruitment process in Happo, just log in and you'll see all your candidates and exactly where they are in the hiring process in one place. 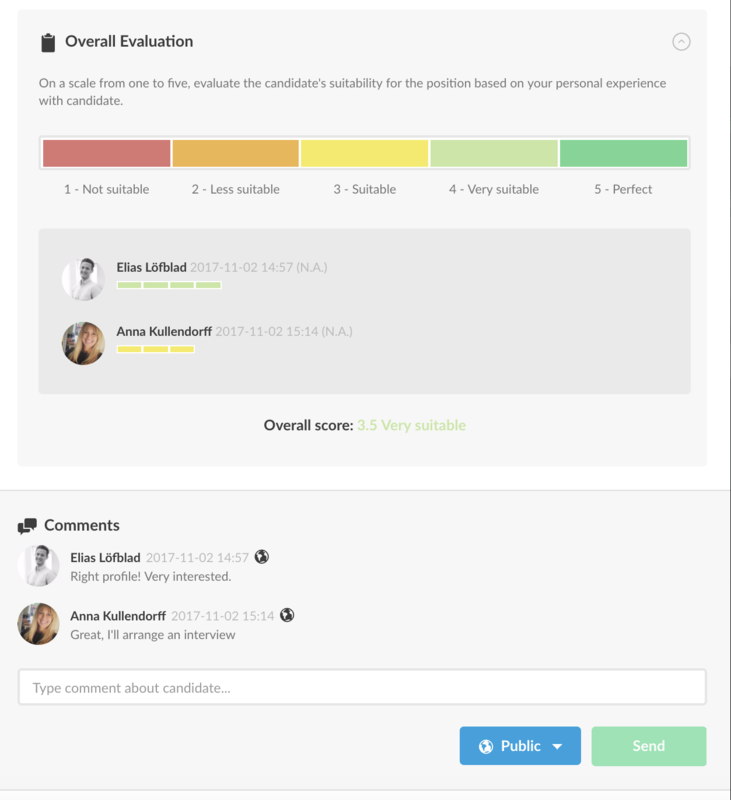 Suppliers, clients and colleagues can comment and evaluate candidates within the candidate card to collaborate on the hiring process and find the right talent. You can start using Happo for free right away! Just create an account with your email to start receiving candidates, no credit card required.